It comes weeks after a suicide blast in Pulwama which killed 40 CRPF jawans. The Jammu and Kashmir police confirmed on Thursday evening that the terror outfit, Hizbul Mujahideen was behind the grenade attack which killed one person died injured at least 33. 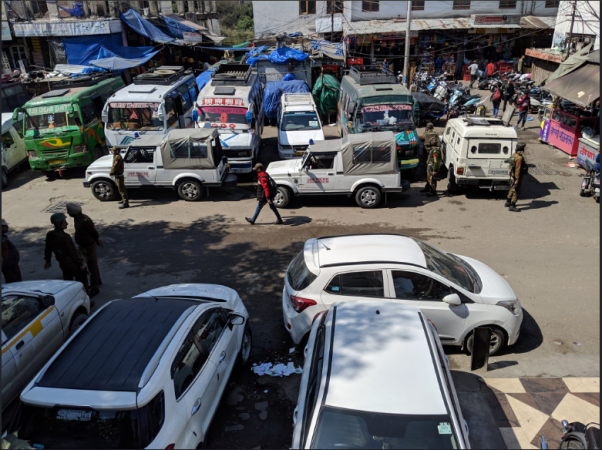 It is the third grenade attack at the bus stand since May 2018. Jammu and Kashmir Police claim that they have arrested the prime suspect. The bus stand is said to be one of the most crowded places in the city. Some vehicles in the vicinity have also been damaged in the blast. "It was a grenade explosion, it has caused injuries to approximately 18 people, all shifted to hospital. I request everybody to maintain calm. We are chasing all leads," said MK Sinha, the Inspector General of Police, Jammu. "The injured have been taken to the GMC hospital," he added. The grenade had exploded under a bus. It comes weeks after a suicide blast in Pulwama which killed 40 CRPF jawans. Pakistan-based terror outfit Jaish-e-Mohammad had claimed responsibility for the attack. Tension between India and Pakistan were at an all-time high after the attack. The situation became worse when IAF pilot Abhinandan Varthaman was captured by the Pakistani security forces.